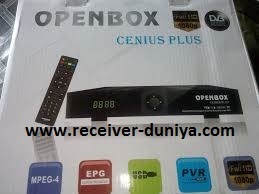 Hello Friends Today I'm sharing with you full method to solve No Match Error in Multi Media 1506g All Receivers with latest Openbox Genius Software which is bug free, Connect Disconnect Problem solved, Fast Shairing, Intelsat 68 Sony Package, Asiasat 105.5 PowerVU Sony Package full OK, Smartcam Added. Note:- If you have already 7.0 version then upgrade direct with latest version, otherwise follow this method. and put in USB and install it. Have fun, remembered me in your prayers.